America is experiencing a freak heat wave this summer. Temperatures are at a record high, even in the northern part of the country (it is even more sweltering in southwest Texas where we live!). Time to cool off with ice cream—better yet with ice cream AND macarons or ice cream macarons! But with so many ice cream flavors to choose from, how can we please the palates of finicky family and friends? Neapolitan ice cream has three popular flavors conveniently packed into one tub: chocolate, vanilla and strawberry. So at least one of those should satisfy their taste buds. Our tri-flavored/tri-colored macarons are inspired by the freeze-dried Neapolitan ice cream that Islander is always crazy enough to buy whenever she visits the Smithsonian National Air and Space Museum in Washington, D.C. 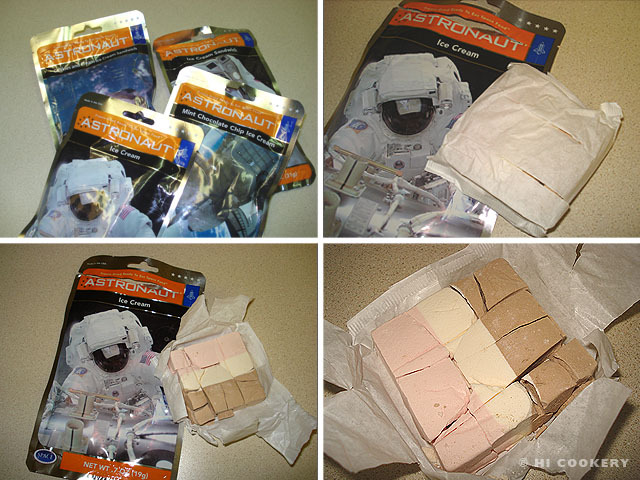 The amusing “astronaut ice cream” is crisp and creamy—almost like a macaron! We filled our chocolate and strawberry macaron shells with real vanilla ice cream (but with a special lactose-free brand because of Islander’s delicate digestive system) and, as a non-melting alternate filling, with Tahitian vanilla buttercream for a brown-white-pink palette. These Neapolitan ice cream macarons are our entry into this month’s MacAttack challenge with the “ice cream dream theme.” And they are a sweet treat to beat the heat and celebrate National Ice Cream Month in July! 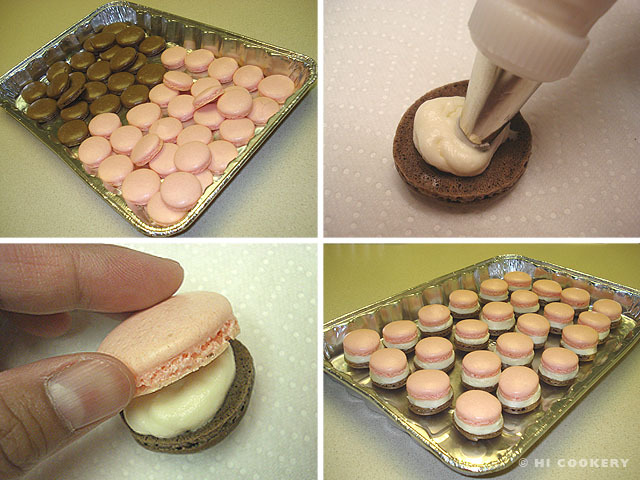 Make the chocolate and strawberry macaron shells. Match by size and pair a chocolate with a strawberry macaron shell. Quickly spread vanilla ice cream on one of the shells and sandwich with another. Freeze immediately to firm up the filling. Serve chilled. Alternatively, generously fill a chocolate macaron shell with vanilla buttercream and sandwich with a strawberry macaron shell. Refrigerate to set. Look at the list of the 15 most popular ice cream flavors on the Food Channel site. Vanilla, chocolate and strawberry and Neapolitan are in the top five, according to the International Ice Cream Association. There are other flavors of the freeze-dried ice cream, including mint chocolate chip and chocolate chocolate chip. A freeze-dried ice cream sandwich is also available. Try our lactose-free vanilla milkshake recipe on June 20 (National Vanilla Milkshake Day). Search our blog for other recipes containing ice cream. The final photo above shows our Neapolitan macarons filled with Tahitian vanilla buttercream. It was too hot to fill and photograph the shells with the vanilla Lactaid ice cream on yet another scorching summer day in southwest Texas!!! 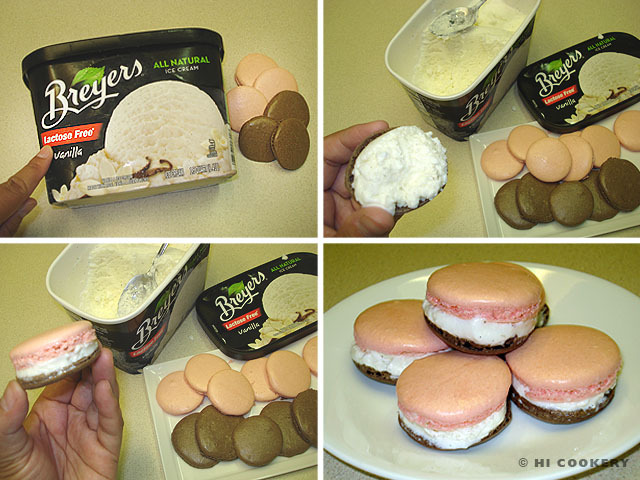 “I scream, you scream, we all scream for ice cream!” Check out more macaron ice cream dreams at the MacTweets site. 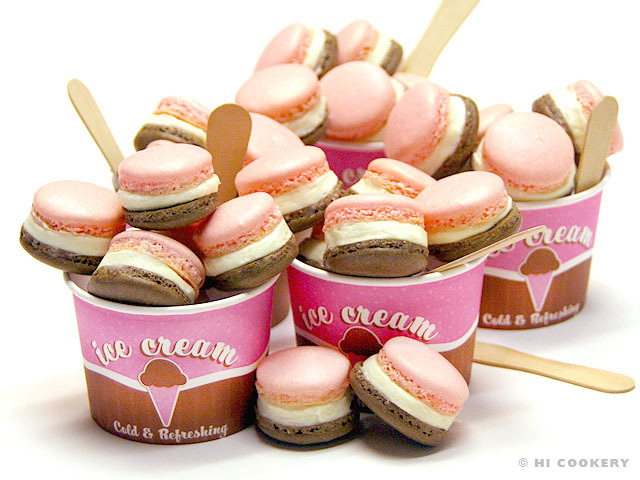 your macarons are just so cute and they look just like napolitean ice cream ! good work !! Hello!! You’re blog is so cool! I finally found my wedding cards (we recently moved) and found your blog site. I like freeze-dried ice cream too! One of my students brought it to class during our astronaut study this past year. Yum! I guess they can’t get better than this …ah-mazing! Really really nice…what great pairing! Thanks for joining us at MacTweets! Such a fun idea! With three flavors you have anyone’s favorite covered. these look so awesome! and bet they tasted that way too! These are my favorites this month! Great idea and awesome pic!